Oak Tree Gun Club's Rifle Range features 21 positions in a covered environment, and targets are placed from 25 to 100 yards. We are committed to meeting our customers' shooting needs, so if you have a special request, let our Range Officer's know. Oak Tree Gun Club has a variety of rifles in varying calibers, available for shooters to rent, so take advantage of the exciting options we offer. Our Rifle Range offers steel targets up to 100 yards, and paper target frames with a variety of targets available for purchase. 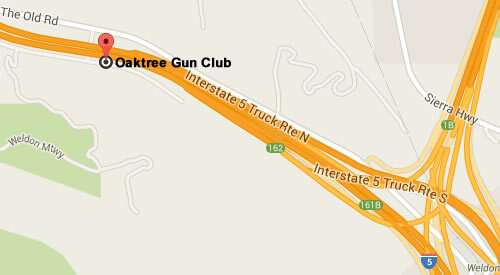 Oak Tree Gun Club's Rifle Range also offers a 3-Gun Style competition every Wednesday night! $20.00 per adult shooter: covers the Rifle range fee. $15.00 per Child 9-13 years of age (with a paid adult).